Gastric bypass has been performed by YarGasht for obese people who find it hard to lose weight in other ways. The procedures lead to a long-term weight loss of usually more than 60% of the body-weight. It also helps to significantly cure various diseases associated with obesity. We guarantee the premium quality of medical services and health care services here with some memorable experience of Persian hospitality and friendly people in Tehran. 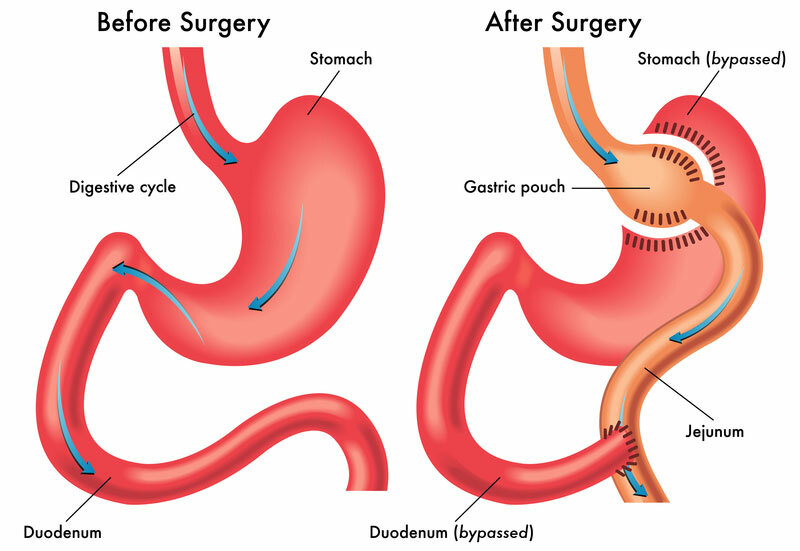 In this procedure, the stomach is divided into a small upper pouch and a much larger lower "remnant" pouch and then the small intestine is rearranged to connect to the smaller part. In this procedure, both the intake capacity of food and food absorption potential is reduced. This method is extremely effective in treating obesity and has been performed throughout the world for the last 30 years. All of your breakfasts and full meals package during Hospitalization.